The decision was taken during a meeting chaired by Lieutenant Governor Anil Baijal at the Raj Niwas in New Delhi. 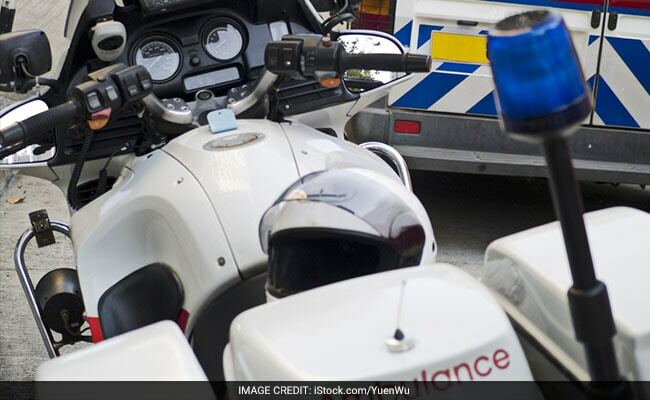 New Delhi: Bike ambulance facilities would be introduced on a pilot basis in three districts of Delhi from January, seeking to provide quick pre-hospital care response in congested areas of the city, authorities said on Thursday. The decision was taken during a meeting chaired by Lieutenant Governor Anil Baijal at the Raj Niwas in New Delhi, to explore the feasibility of improving emergency response services through introduction of first responder vehicles (FRVs). "It was decided that the facility of FRVs will be introduced on a pilot basis in three districts -- East, North-east and Shahadara from January 2018. In the first phase, 16 FRVs will be introduced," the L-G House said in a statement. The meeting was attended by Health Minister Satyendar Jain, Principal Secretary (Health), Special Commissioner (Traffic) and chief spokesperson of Delhi Police Dependra Pathak, and Medical Superintendents of the Lok Nayak Jayaprakash (LNJP) Hospital, GTB Hospital and DDU Hospital, and the Commissioner of the St. John's Ambulance Brigade. "This facility would provide quick pre-hospital care response in congested areas. It shall reduce the incidence of mortality and morbidity by ensuring that patients receive appropriate medical care within the 'golden hour," Mr Baijal said. It was informed to the Lt Governor that to meet the requirement of medical assistance in congested areas and to tackle situation during peak traffic hours, there is a need to deploy FRVs (two-wheelers) to complement and supplement the existing ambulances, the statement said. "These FRVs will be driven by trained paramedics and they shall carry basic first-aid kit, medical and other requisite items," it said. Mr Baijal was also apprised that FRV paramedics would reach the site, assess the condition, provide first-aid (if required) and stabilise the medical condition of the needy person till arrival of ambulance (if needed) at the site, the statement said.